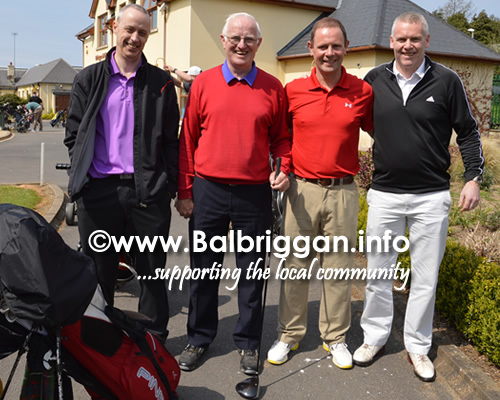 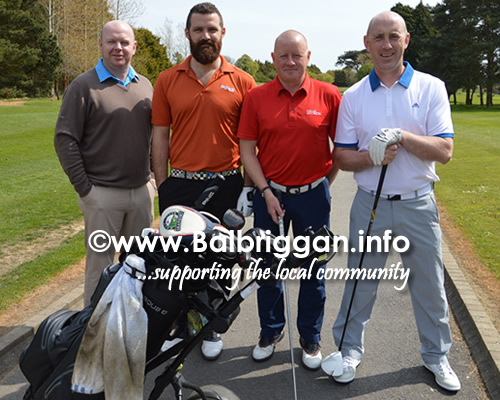 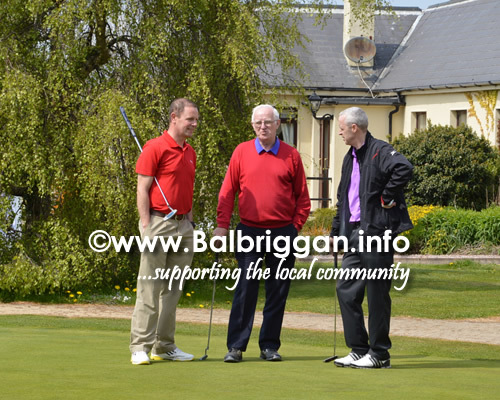 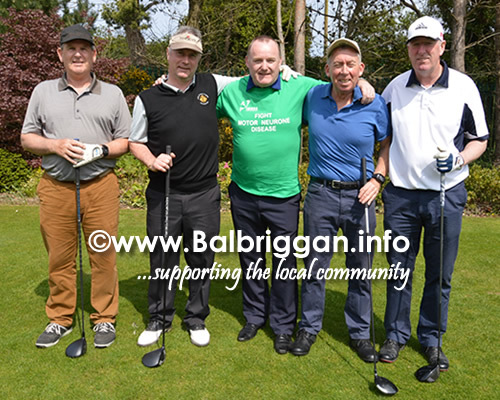 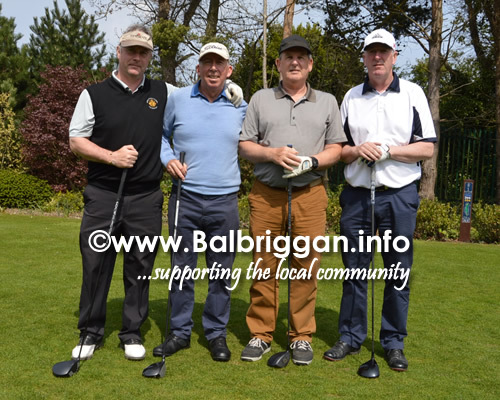 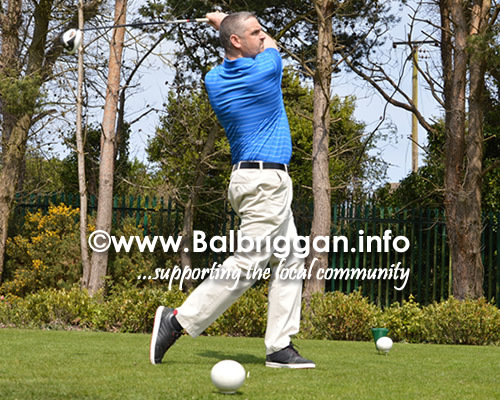 On Friday 6th May Balbriggan Golf Club hosted a charity golf scramble in aid of Irish Motor Neurone Disease Association. 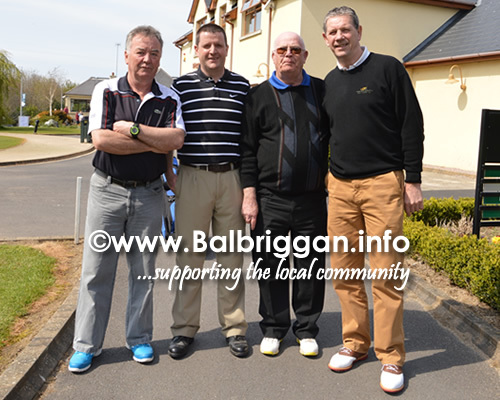 29 teams took part in the 4 person scramble. 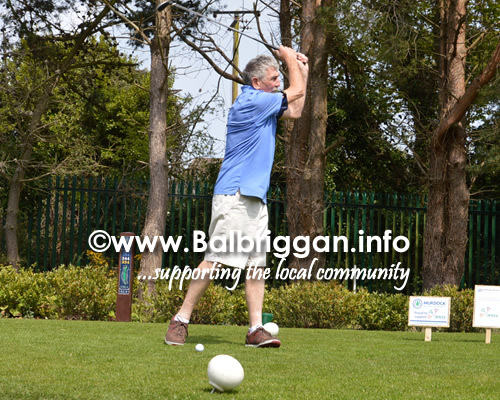 The weather was excellent. 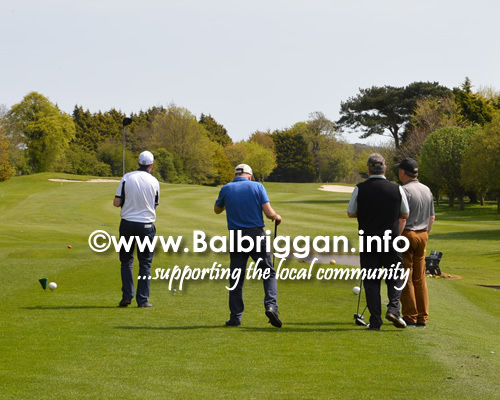 The course looked and played superb. 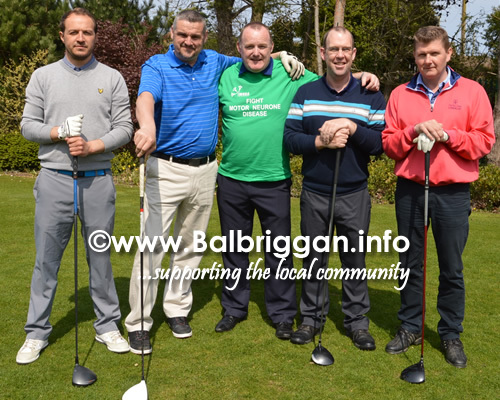 All golfers taking part had a great day. 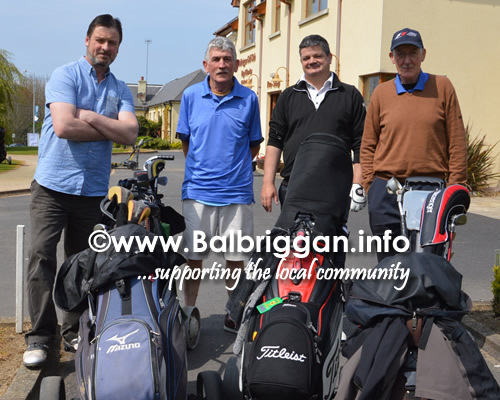 This event will raise in excess of £7000 which will go to IMNDA, to help them in the work they do with people diagnosed with Motor Neurone Disease. 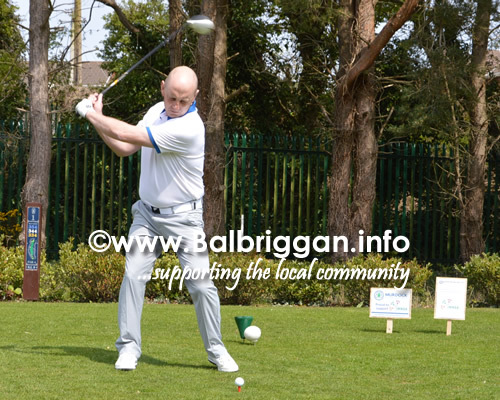 Thanks to all players, sponsors of teams, tee boxes and prizes. 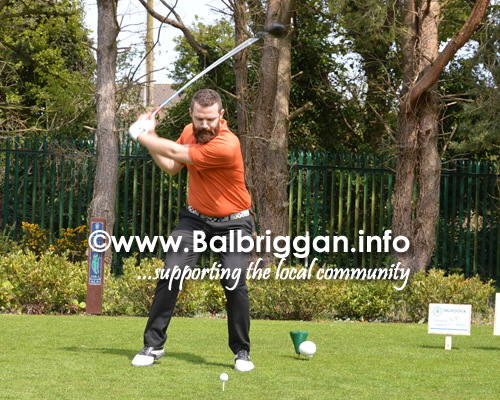 Thanks to Balbriggan Golf Club and its members, for hosting this event on the day. 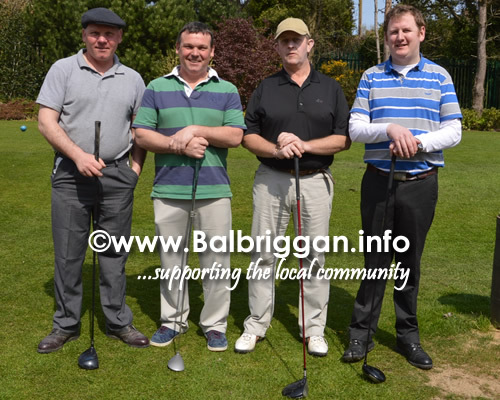 1st Eamon O’Brien, Sean O Connor, Jim Behan , Derbhla Behan with score of 55.6. 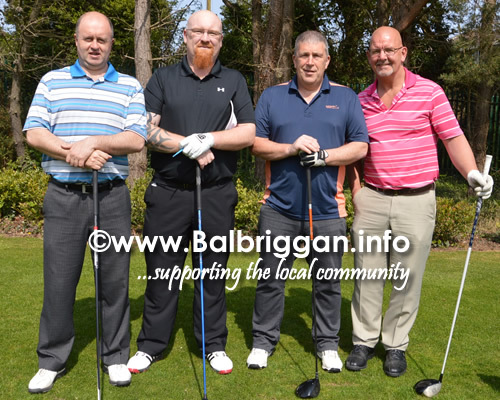 5th Mick Danaher, JP White, Dave Byrne , Damian Callaghan score 58.9.